This was my first time alone on a fare trip, therefore I liked to choose a easy country. 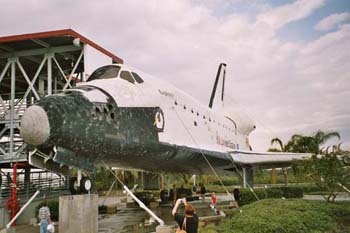 I choose Orlando because of the near by NASA complex. The first week I visited the space coast and the second week the Ocala National forest. In this forest you can enjoy the beautiful springs which well from the bottom of the ponds. Around the highways in the nearby swamps you can see turtles alligators small and big ones.